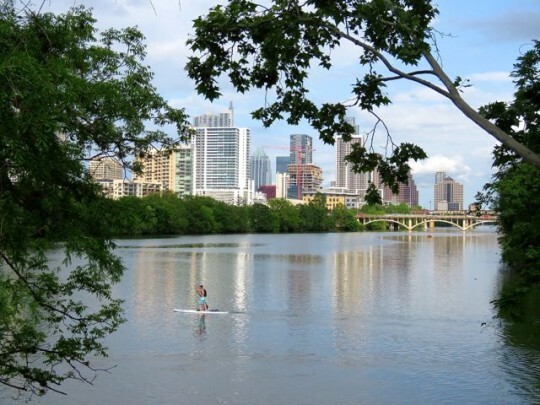 There is no shortage of fun things to do in Austin. It’s kind of a problem, actually. 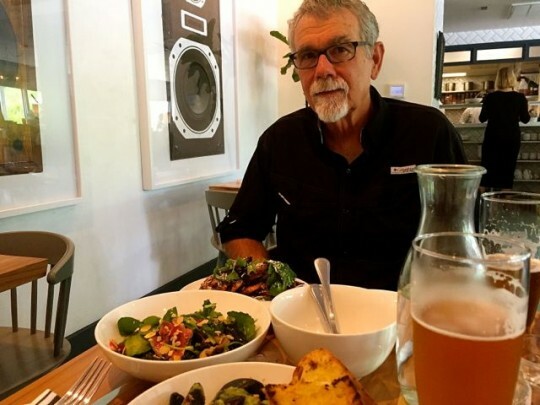 There is an infinite number of enticing possibilities—hiking and biking trails, intriguing restaurants and coffee shops and breweries, music, and art and museums, interesting shops and galleries and events—it’s not easy to choose. I finally had to stop reading Trip Advisor and Yelp reviews, because I was driving myself crazy. 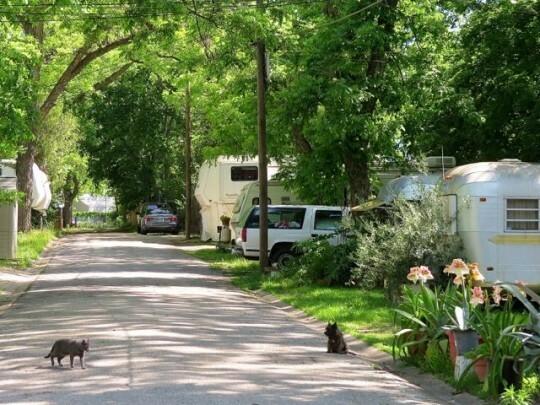 The last week of April, we spent four nights at Pecan Grove RV Park, in the heart of Austin. We had a great time, even though I had the worst attack of hay fever I’ve ever had in my life (apparently I’m allergic to pecan tree pollen). 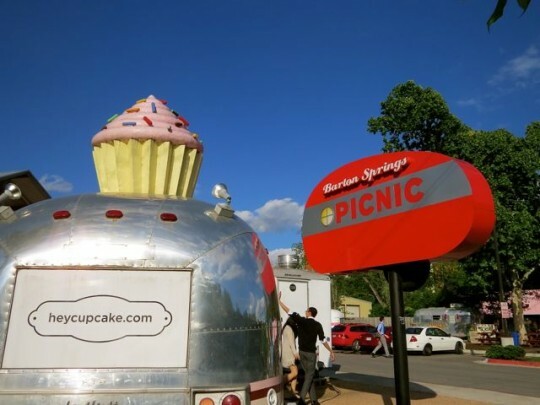 This was our second trip to Austin, and we enjoyed it just as much as our first visit a couple of years ago. It would undoubtedly be more peaceful staying outside of town, but it wouldn’t be anywhere near as convenient. 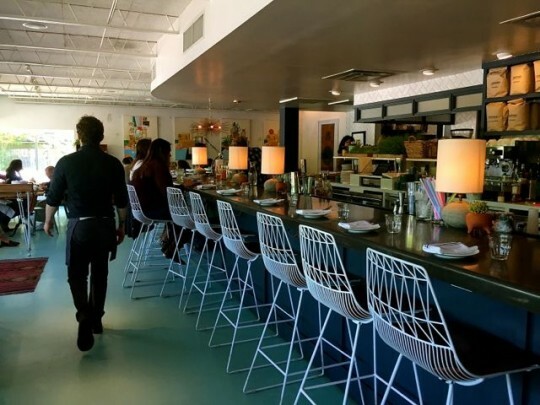 Plus, we enjoy the laid-back, old-school Austin vibe of Pecan Grove. 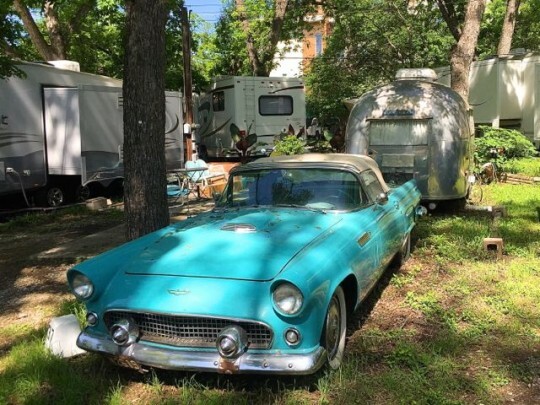 This unassuming little retro trailer park was established in the 40’s, and miraculously, it’s hanging on, right in the big middle of everything. 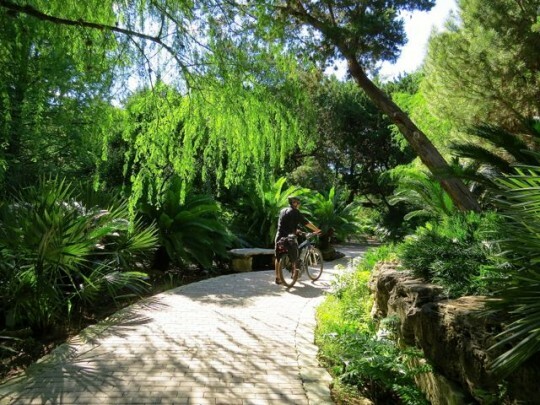 This was our second time staying at Pecan Grove, and we find it to be ideal for our needs. 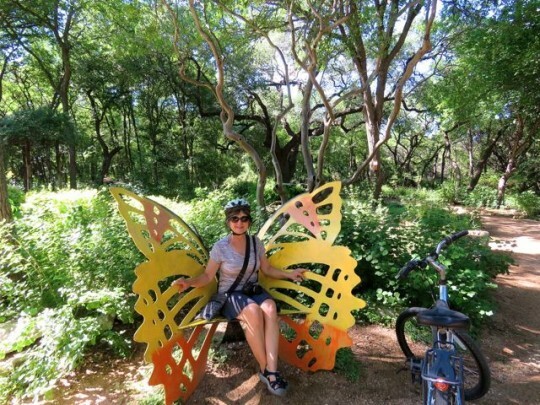 Despite my sneezing fits, we biked for hours every day through beautiful Zilker Park and on the miles of multi-use trails along the shores of Lady Bird Lake (both are within easy biking distance of the RV park). 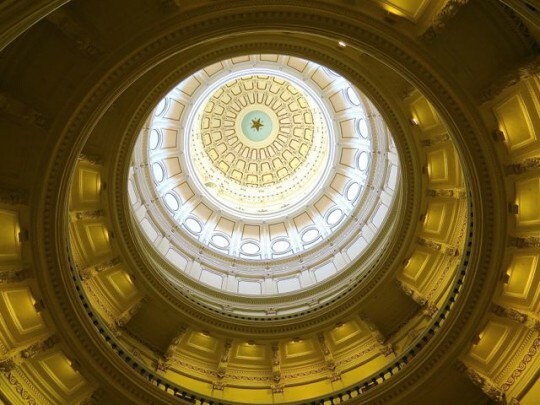 To give myself a break from the deluge of pollen outdoors, we visited the Texas State Capitol Building just a few blocks away, where we enjoyed a free and interesting tour of the biggest state capitol building in the United States. 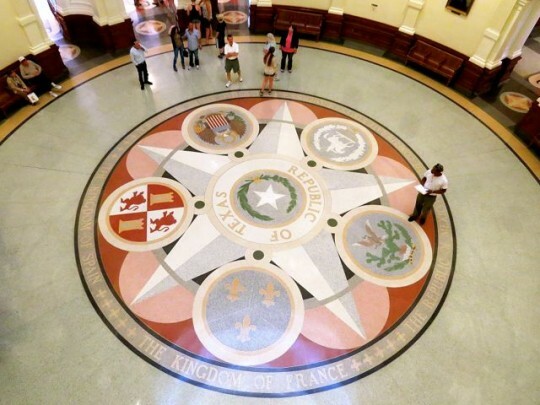 The symbolic “Lone Star” is found everywhere, from the Texas state flag to the dome, terrazzo floor, and chandeliers of the capitol (plus everywhere else in Texas, when you look around). Texas is the only state that was once an independent republic, and this is a point of pride for Texans—some of whom insist that they can secede if they don’t like the way things are going in Washington (according to our tour guide, they can’t really get away with it). 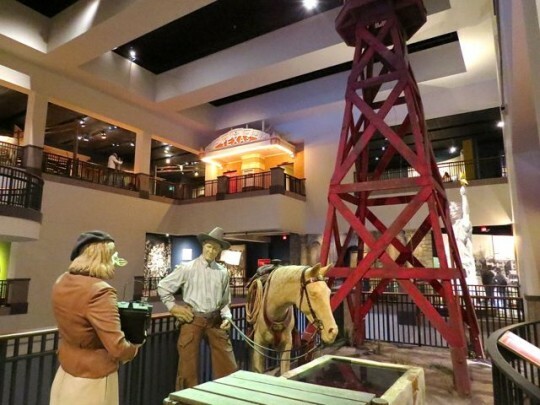 To learn more about Texas history, we spent several hours in the nearby Bullock Museum, an excellent venue with a cowboy flair and a gigantic Texas star out front (of course, what else would you expect?). 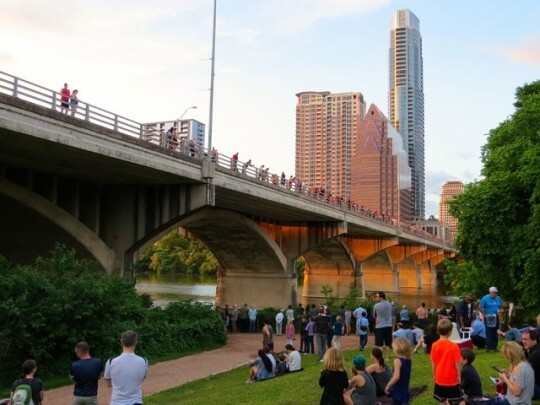 To round out our three days in Austin, we spent an evening at the South Congress Bridge to watch the nightly emergence of Mexican free-tailed bats. Beneath the bridge resides the largest urban bat colony in North America, and it’s quite a sight at dusk to see hundreds of thousands of bats emerging in a spiraling tornado, heading out for their evening meal of mosquitoes and moths. As for us, we generally cook at home, but we always enjoy a meal or two out if we’re in a place where the options are interesting. 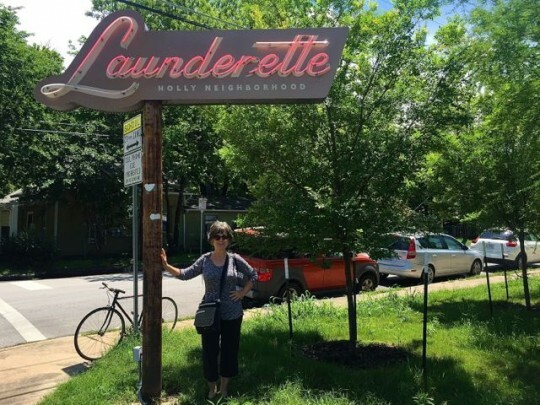 We finally settled on Launderette, located in a renovated laundromat/gas station. 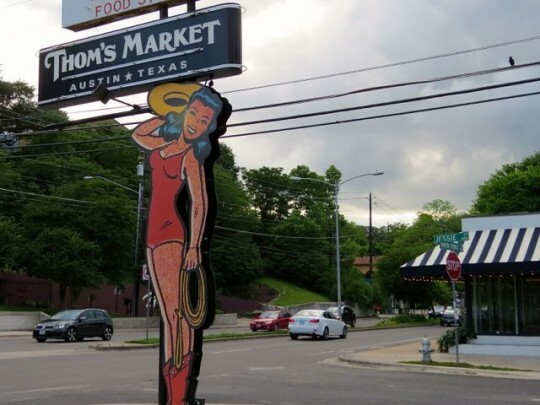 It was a great choice—our meal was delicious (green curry mussels and tandoori grilled prawns), the ambiance is cool retro Austin, and the service gracious. 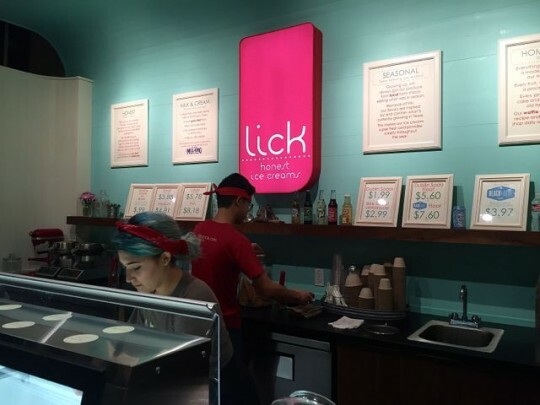 One more thing—if you find yourself in Austin, don’t miss Lick Honest Ice Creams. They work their magic from the finest ingredients, starting with milk and cream from local grass-fed dairy cows. Eric had espresso (no surprise) and I had goat cheese-thyme-honey. Definitely a top contender for best ice cream ever. 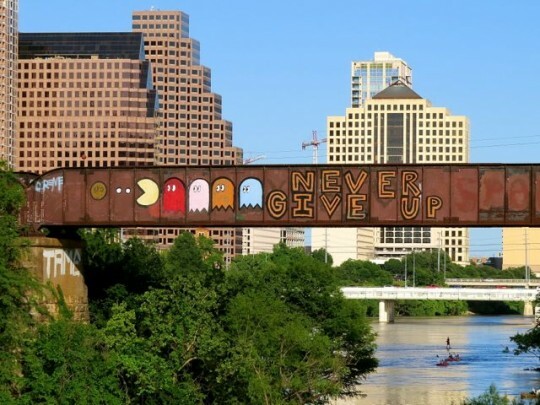 There’s always more to explore in Austin. We’ll be back. 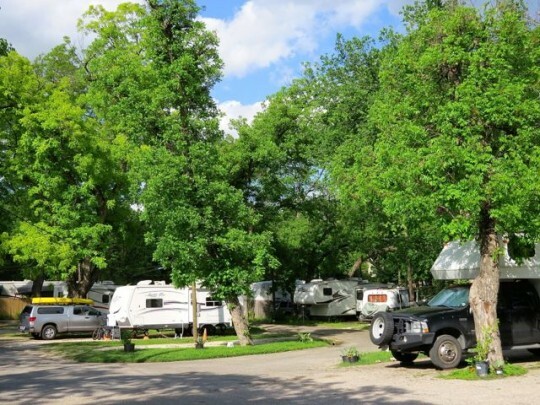 We love Pecan Grove RV Park. Although the park is peaceful, we use our blackout shades and sound machine—after all, we’re in the middle of the city. The residents are friendly and the manager, who has been there for years, is great. There are (very funky) restrooms/showers and a laundry on site, but we didn’t use the facilities. All sites have full hookups, and there’s good Wi-Fi; $40/night. With only 12 spaces for overnight travelers, make your reservations early. 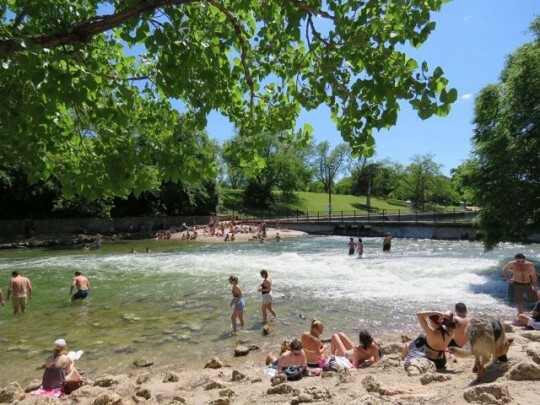 We are planning to stay in state parks near Austin in the spring but looks like staying a few nights in the city might be a good plan. Those mussels look great. 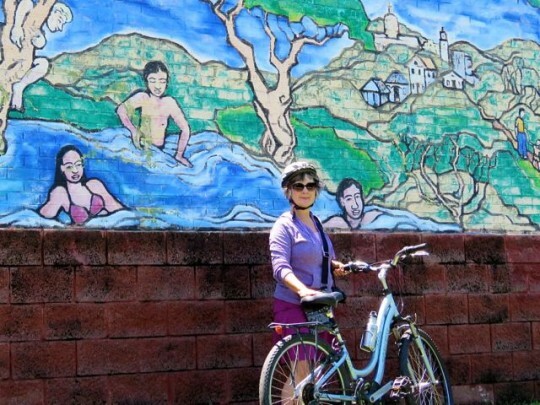 Debbie, staying in the city works great for us because we love all of the biking and walking that’s available right from the RV Park. It’s a fun place to stay. And the mussels were fantastic! 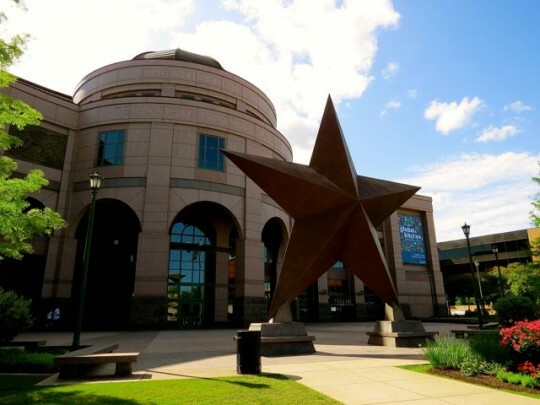 What is the significance of the term “Lone Star”? 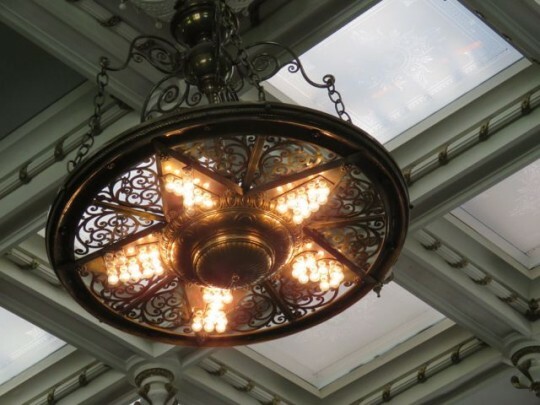 How is it that Texas can claim a star, when we all have stars? Just curious. Sheila, as far as I know, the Lone Star symbolizes their status as being the only state that was once an independent republic. And they are mighty proud of it! Great pictures AGAIN! Love the things you notice and share. Thanks for the heads up on the park. No music stops??? That would be pretty shocking. Sorry about the allergy attack. Glad you haven’t been hampered by the horrid weather. 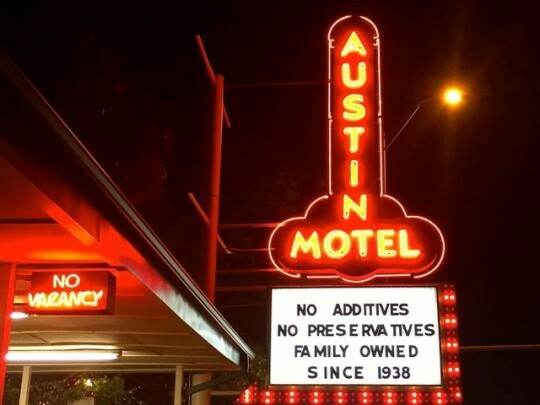 We’ve always had a curiosity about Austin. We usually hear fun stuff about the city. One day I’m sure we’ll manage a stop in Austin. Thanks for the heads up on the RV Park. Austin is well worth a visit, Ingrid. 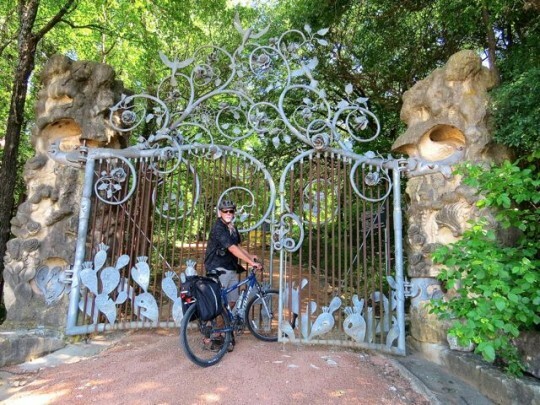 I think you would enjoy it next time you’re passing through Texas — definitely spend some time in the botanical gardens! We were there in late Feb so it is really neat to see your shots with everything GREEN! Very cool that you got to see the bats. Lisa, it was very green in late April — with LOTS of pollen! We were very happy to see the bats — when we were there a couple of years ago in the fall, it wasn’t bat season. There’s quite a turn-out every evening to see the bats — very fun. 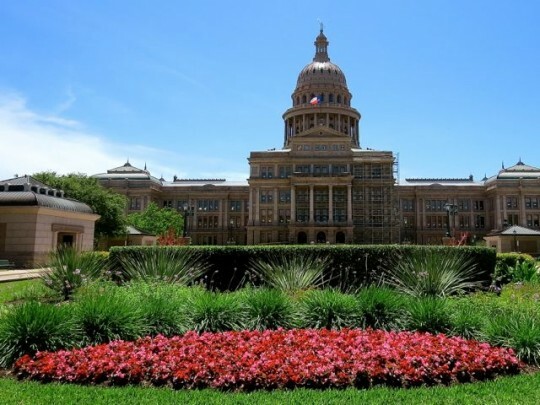 Not a lot of Texas we’re excited to visit, but Austin is on the top of the short list of places we definitely want to see. I have that park as the location to stay so I’m glad you guys like it as well. Love all the art and fun vibe – you really captured that in your photos. Glad you enjoyed the photos, Jodee. How cool that you guys already know about Pecan Grove! I think you’ll like it — we’re already planning a third visit. :-) When you know your plans, make your reservations early, because they book up far in advance. We’ve only been to Texas once for a long weekend in San Antonio. 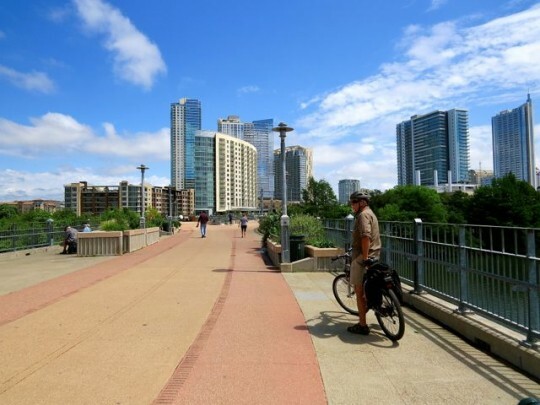 Austin certainly is a place we should visit…a little of everything. We love to use our bikes to get around in cities. So much easier than a car. 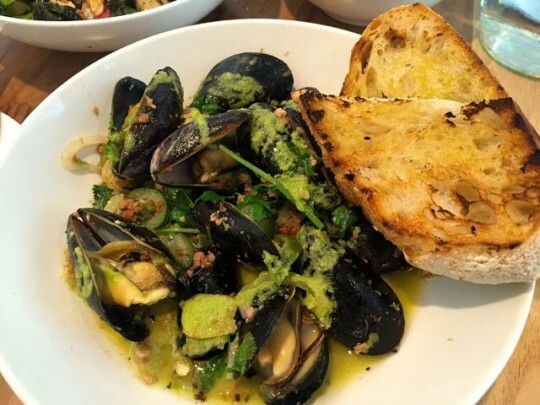 The mussels look so good…yum! Your photos sure sell this city:) Beautiful! 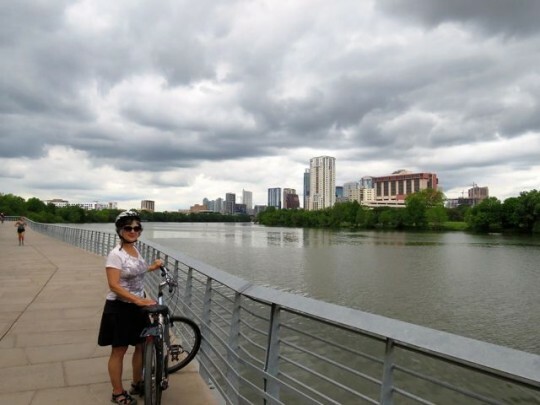 Pam, Austin is a great place for biking and walking. We loved the miles and miles of trails through the parks and the easy walking/biking access to downtown from the RV Park. It’s an interesting city — I think you guys would enjoy it! We spent a fair amount of time in Austin in the 80’s. We had earmarked it as a spot to locate a satellite of our company but things never materialized. Needless to say, we enjoyed the area then and have always said we’d like to return at leisure. Your post has enforced that interest…..it’s on the list! 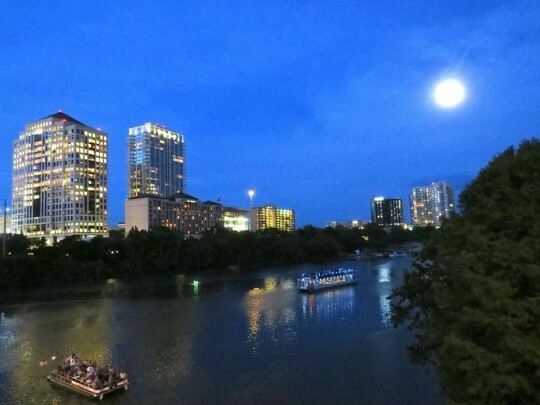 I almost moved to Austin in the late 80’s — and ended up continuing west to Oregon. :-) I think you’ll be surprised at the changes, Sue — the city has really grown, but there are that many more interesting things to do, too. I haven’t been to Austin since my work days and remember how fascinated I was watching the bats emerge from their daily resting place. I have to say Laurel that anything with good goat cheese in it would call out to me. That ice cream sounds incredible. We were happy to get to see the bats on this trip, LuAnn. But we weren’t able to get any decent photos of them. That was the best ice cream I’ve ever had — an unusual flavor combination, but it’s actually their most popular! 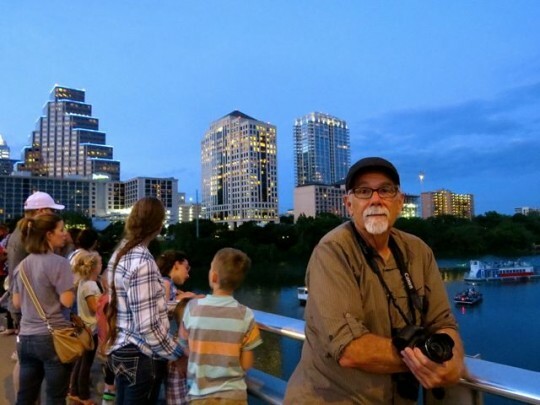 Never been to Austin and I heard or read good things about this vibrant city from you and other bloggers. Perhaps should we cross country again, a stop in Austin is in order. We gotta go back and bike the trails, eat the ice cream, and tour the capital! Gotta talk the other half into it….ha!